Some friends are just friends. Others you get to see naked. Joaquin Phoenix and Reese Witherspoon have received much applause and critical praise for their performances in "Walking the Line" and for the fact they did their own singing in the film. Well, hold the presses, as "Just Friends" features its own duo of celebrity singers in Anna Faris and Chris Klein, who both do their own fair share of singing in this low-brow yet oddly endearing comedy. The film centers around Chris Brander (Ryan Reynolds), a one-time high school loser, whose attempt at graduation to reveal his true feelings to his long-time best friend, Jamie Palomino (Amy Smart), ends miserably when his yearbook signing falls into the wrong hands and he ends up humiliated at Jamie's graduation party. When we first meet Chris, he resembles yet another of cinema's loveable losers. He's the overweight guy with a goofy haircut, silly grin yet warm heart. He's the kind of guy who ends up best friends with the best looking girl in the school, but she inevitably dates the jock or some other class success story. Reynolds, a classically handsome actor with a sort of nice guy charm and presence, dons a fat suit and obvious facial augmentations to portray Chris during these years but also does a wonderful job of portraying Chris in such a way that it's easy to see why Jamie adores him. The script for "Just Friends" is a step above the usual script for a film such as this one. 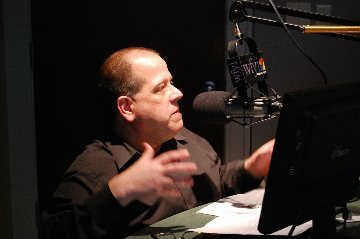 Writer Adam "Tex" Davis covers his bases, and while character development is often skeletal, it's far above what is usually found in films like "Just Friends." In this case, the high school experience is a wonderful set-up for the future. In reality, neither Jamie or Chris respond appropriately here, but neither do they respond badly. Jamie, in particular, is affectionate, warm and accepting of Chris' revelation under the awkward circumstances even though it is obvious she does not have the same feelings towards Chris. These early scenes work because of a marvelous chemistry between Reynolds and Smart, and Smart's wonderful ability to dig beneath the surface of her character and reveal her not just as the beautiful girl outside, but her inner beauty as well. Chris immediately leaves town, becomes a successful radio executive, loses weight and becomes transformed into a handsome, successful and athletic "player." However, he's forced to confront his past during an unexpected New Jersey stop while he's attempting to sign Samantha James, a "pop" star with limited talent, limited boundaries, limited values and limited personality. As portrayed by Anna Faris, Samantha is over-the-top hilarious and Faris steals nearly all her scenes, especially when Chris' brother begins entertaining her so Chris can re-visit Jamie. The visit becomes almost a revenge fantasy for Chris, as he flaunts his new self in an attempt to, in essence, get the revenge bang from Jamie. Of course, nothing goes as planned leading to a series of increasingly funny hijinks as everything goes wrong for Chris. Reynolds nails the part of Chris, because he's able to balance that desire for revenge, those feelings of finally being "good enough" and yet still express all those past insecurities and feelings. When another high school loser who also had feelings for Jamie enters the picture (Chris Klein) with the same idea of revenge Chris finally starts to learn his lesson BUT is it too late? Everyone here is perfectly cast, including the normally comatose Chris Klein as Dusty. Klein plays both the acne ridden, stuttering loser in high school and the charming, seductive EMT and all-around good guy both quite perfectly (almost too perfect). Likewise, both Reynolds and Smart are marvelous and Smart, in particular, shows so much depth in what could easily have been a caricature role that you long for her to be happy and it's hard not to wonder if even the "good" Chris is really good enough for her. In supporting roles, Julie Hagerty is back in a marvelous appearance as Chris' mother doing what she does best...the demure, goofy but oh so loving role that allows her to be constantly subtle and funny. "Just Friends" is directed by Roger Kumble, who helmed two "Cruel Intentions" films and has proven adept at balancing sincerity, sarcasm and, well, cruelty. Indeed, especially in the last third of the film the pratfalls and physical comedy become a tad too meanspirited and several of the situations, most notably that with Dusty, resolve too abruptly to really be believable. Christopher Marquette, as Chris' brother, and Stephen Root, as the label president, also make funny appearances in the film. The film's cinematography aids the mood nicely, and the editing is done quite nicely with several nearly perfect camera shots in the film offering unique, funny scenes. The glory of the film, for me, lies in the balanced humanity of the script. Everyone here is remarkably human, and none (possible exception being Dusty) is truly portrayed in a bad light. Jamie has matured, changed and makes bad choices along the way. Likewise, Chris ran away, possibly when Jamie needed her best friend most. The script, which has the inevitable positive resolution, nonetheless makes positive statements about friendship, attraction and chooses inner beauty over external, emotional attraction over physical attraction. In terms of the singing of both Klein and Faris? Both are severely lacking in the vocal department, and the entertainment value lies more in the "William Hung" neighborhood than the Johnny and June Carter Cash neighborhood. Closing credits will offer an extended version of the opening lip-syncing appearance by Chris. Unfortunately, it is played a tad too quiet to be funny or effective. The full version of Faris' singing "Forgiveness" is much more effective and a nice close to the film. I never thought I'd say this about a Ryan Reynolds film, but "Just Friends" is thought provoking and it makes me want to talk about it. "Just Friends" is not a perfect film, but it's an unexpectedly enjoyable film featuring fine performances from Amy Smart, Ryan Reynolds, Chris Klein and Julie Hagerty. A smart script, solid direction and a solid heart will add up to an enjoyable date movie during the holiday season.